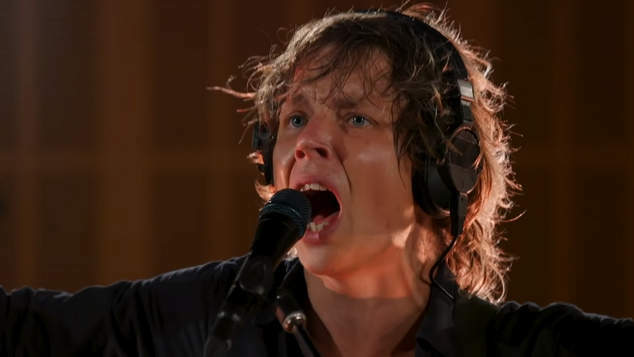 Local band Pond took on the challenge of covering a classic tune for Triple J’s Like a Version. Their choice was to create a rocking psychedelic version of Madonna’s Ray of Light. The song is the title track from Madonna’s seventh album, which celebrated its 20th anniversary last year. The tune’s origins however are much older, it’s a reworking of a song by British duo Curtiss Maldoon. Dave Curtiss and Clive Maldoon released their tune folk-psych song Seraphin in 1971, but it wasn’t a hit. Years later in 1996 English singer songwriter Christine Leach, who is the niece of Clive Maldoon, was working with British producer William Orbit. They created an electronica version of the song with reworked lyrics. When Madonna expressed interested in working with Madonna he sent her a stack of DAT tapes of music he’d been working on, including Ray of Light. Orbit was unaware of the song’s history. Madonna added some more lyrics and the tune became the title track to one of her most iconic albums. For Dave Curtiss, one of the writers of the original song he was unaware Madonna has reworked his song until he heard it on the radio. Madonna’s first version of Ray of Light was reportedly 10 minutes long. She had planned to release it on a remixes compilation called Veronica Electronica but plans for the record were shelved. Now you can enjoy Pond’s psychedelic take on the tune.